Are you looking for ideas about day trips from London?! Somewhere within easy reach from the British capital, unspoilt by the large tourist hordes and offering a glimpse of the real England with its rich historical tradition, gorgeous architecture and worldwide known literature? Plus some shopping and good food thrown in? Then read on! The best alternative day trip from London offers all this and more. Within the course of a day you will take in two cities and a town, and explore cathedrals, a castle, several one-of-a-kind shops and some of the best restaurants and coffee houses England has to offer. You will see rivers, you will see the sea. It will all be sprinkled with Dickensian references and it will be one fabulous day of discovery. In other words, just the stuff that memories are made of. 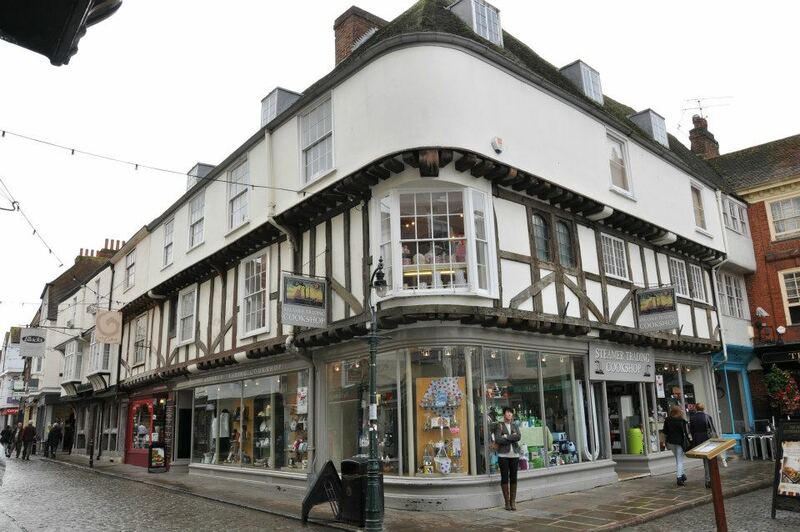 Your first stop will be the historic city of Rochester – a gorgeous place which Charles Dickens fell in love with and immortalised in several of his books. I gave you an overview of all that you will love seeing and doing there in the first part of this blog post. You can find it here. Please, have a look for all the details. 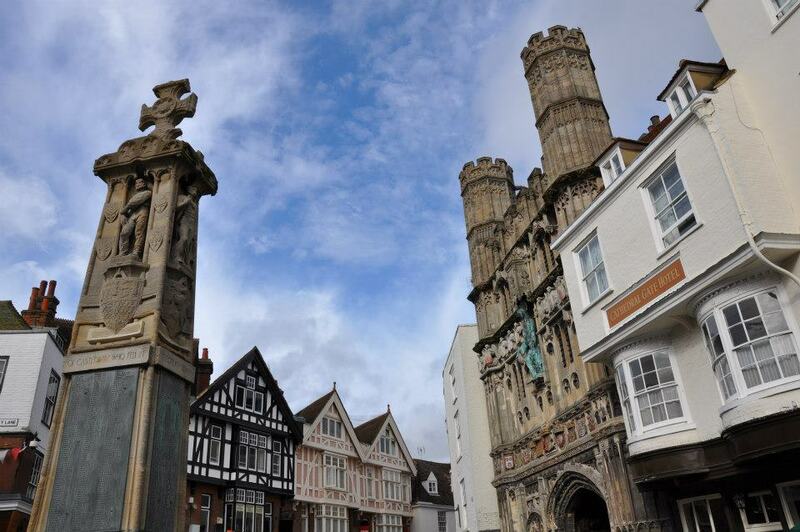 Today we will progress from Rochester to the next two stops on our best alternative day trip – the cathedral city of Canterbury and the seaside town of Whitstable. In the end, I will also share with you a little bonus, making this truly a one of kind itinerary to explore. A fast and comfortable direct train will whisk you from Rochester to Canterbury East train station in about three quarters of an hour. It is a really nice journey with the picturesque villages and rolling hills of the county of Kent flashing past the window. Kent is known as ‘The Garden of England’ and its countryside is green and tranquil with hares running up and down the fields and oast houses dotted here and there. Pass the time trying to spot as many of the oast houses as you can – with their conical roofs and circular turrets they are truly atmospheric. Upon arrival in Canterbury, cross the small bridge just outside of the train station onto the city’s ancient defensive wall. It is quite something being up there. The walls were originally built by the Romans almost 18 centuries ago and have experienced some rather tumultuous times and events, including enemy attacks, abandon, restructuring, rebuilding and then some demolishing again. Nowadays about half of the original medieval circuit remains. From the train station you can walk on the wall admiring the city skyline dominated by the mighty tower of Canterbury Cathedral. The wall is really wide with a path to follow, allowing you to see up close and personal the preserved defensive towers on one side and the Dane John Gardens at its bottom on the other side. Your walk will also take you past an earthen mound with a white monument on top. This is Dane John Mound – the site of a Roman cemetery and then of the first Norman castle. Continue until you reach the end of the gardens, at which point follow the path down to ground level. 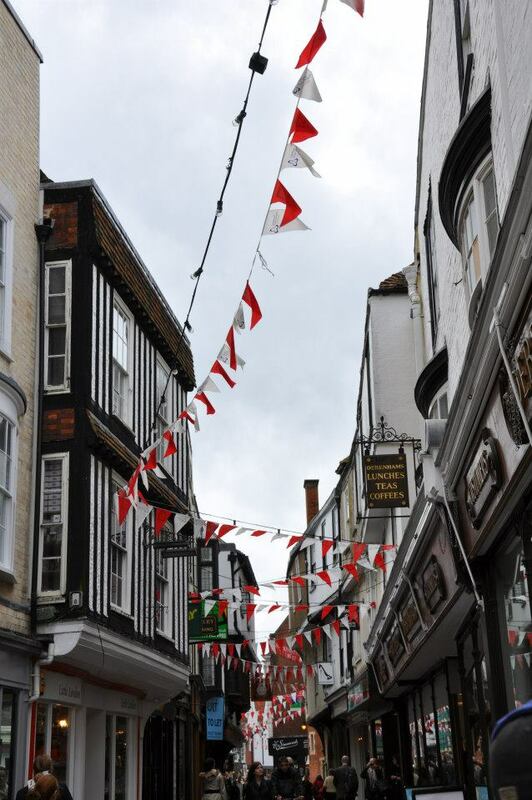 Turn right and explore the maze of streets getting to know Canterbury and its spirit. The whole city is a UNESCO World Heritage Site, so there is lots to see and experience. Boutiques and cafes live side by side with ancient timber-framed houses. Colourful bunting creates a happy, festive atmosphere. It is all so old and quaint, yet vibrant and full of life. Even the multinational brand shops on the High Street appear nice and relaxed and browsing them is so much more pleasant than dealing with the stressed and shopped-out crowds in London’s malls. Through it all, don’t lose sight of the Cathedral. Its tower is easy to spot from almost anywhere in the central part of the city and will guide you through the small streets all the way to the Cathedral’s majestic sculptural Christ Church gate. This is where you need to buy a ticket and then spend at least an hour exploring the beautiful Cathedral. 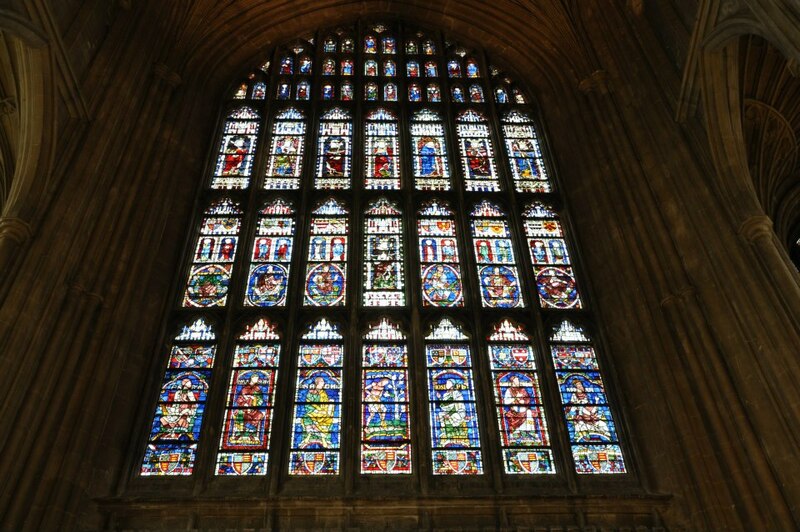 Founded in 597AD it is the headquarters of the Church of England and the seat of its leader – the Archbishop of Canterbury. 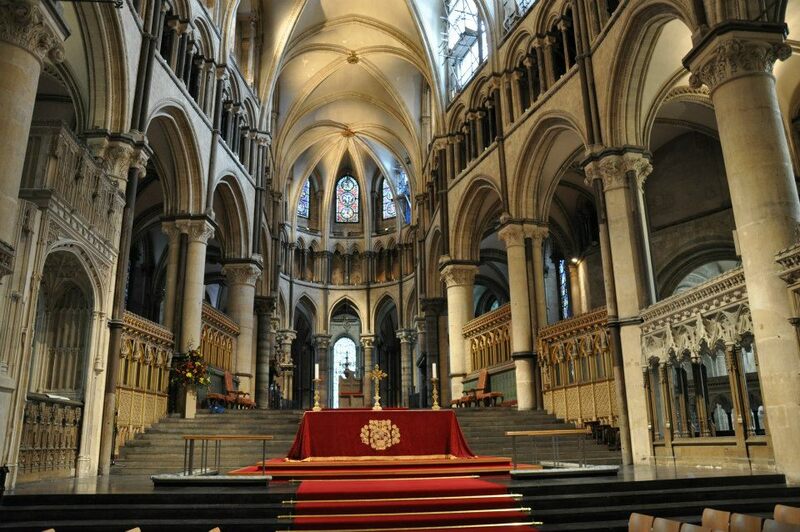 It is a very welcoming place steeped in history and tradition where you can have a quiet moment taking in the bright and intricate patterns of the stained glass windows, admire the beautifully decorated and incredibly high ceilings and see the exact spot where Thomas Becket was murdered by followers of King Henry II of England. 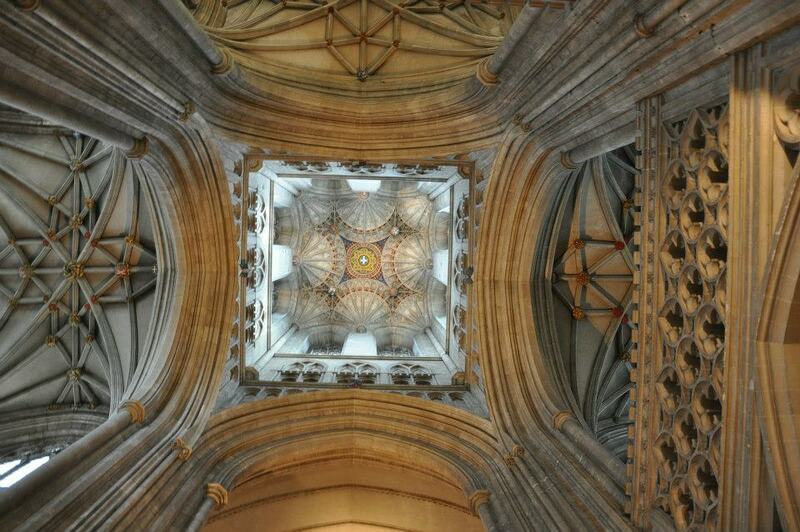 If you are approached by one of the volunteers taking care of the visitors of Canterbury Cathedral, don’t shy away. They are very kind and super knowledgeable and will share with you little nuggets of information which you can’t find easily even in the best guidebooks. 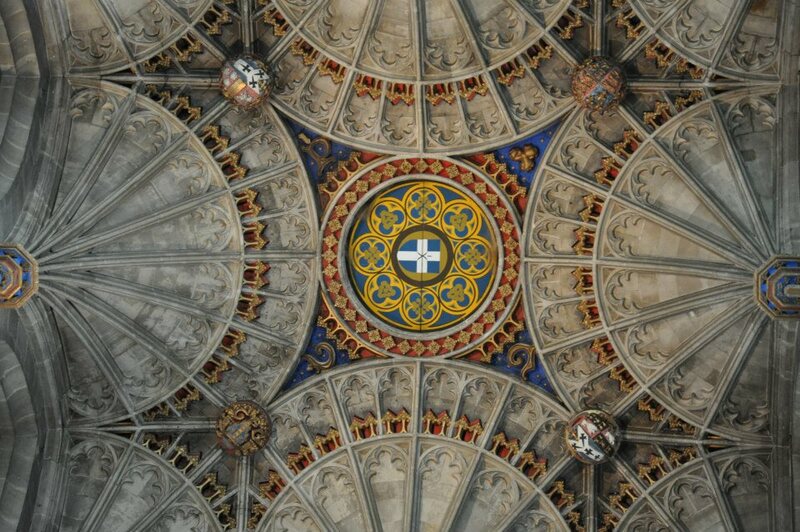 For example, we were told that the tiny white cross seen among the rich decoration of the high ceiling here in fact conceals a hatch door which is about two meters long, from where the workers would access the Cathedral’s tower when repairs need to be performed. We were also shown the grotesque faces adorning the stone lattice on the ceiling of one of the corridors of the Cathedral’s cloister and told that they were put there by the builders as a kind of an inner joke. 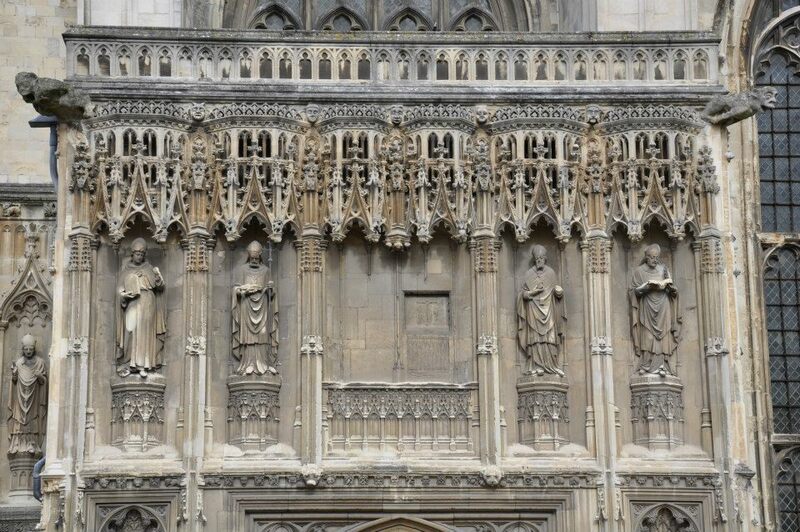 Apparently, the Cathedral’s benefactors would come to visit accompanied by their wives and the builders would recreate their faces there. It is quite funny, as the ceilings of the other three corridors are adorned with family coats of arms, but this one has some rather weird-looking little faces staring down at you – from the Green Man to quite a few old ugly ladies. 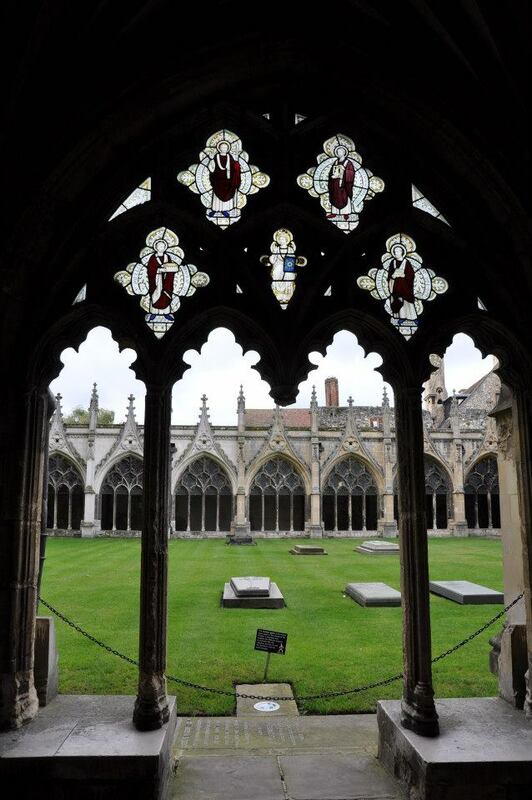 Spend some time slowly circumnavigating the cloister. It is a lovely place which fills the soul with peace. Once you have returned to the hustle and bustle of Canterbury, you will need something to keep you going. 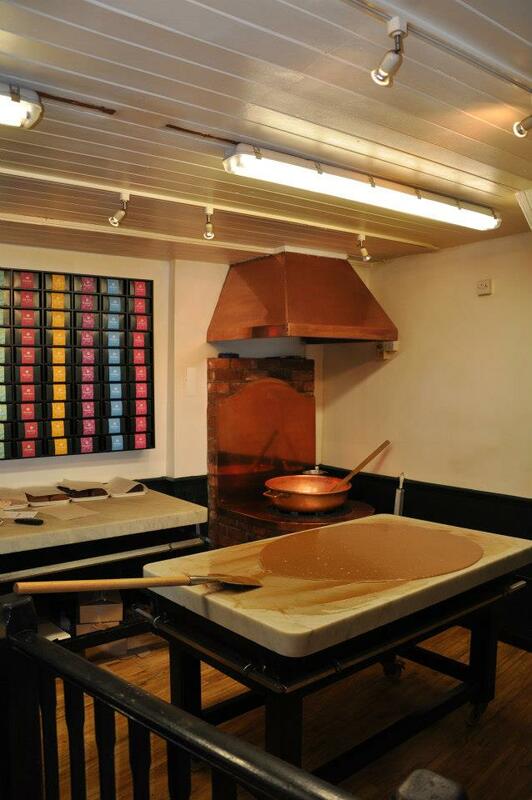 My suggestion is the fabulous Fudge Kitchen on Sun Street – just turn right from the Cathedral’s gate. This is a great shop where you can see how fudge is made and then buy several different types of this traditional British treat. 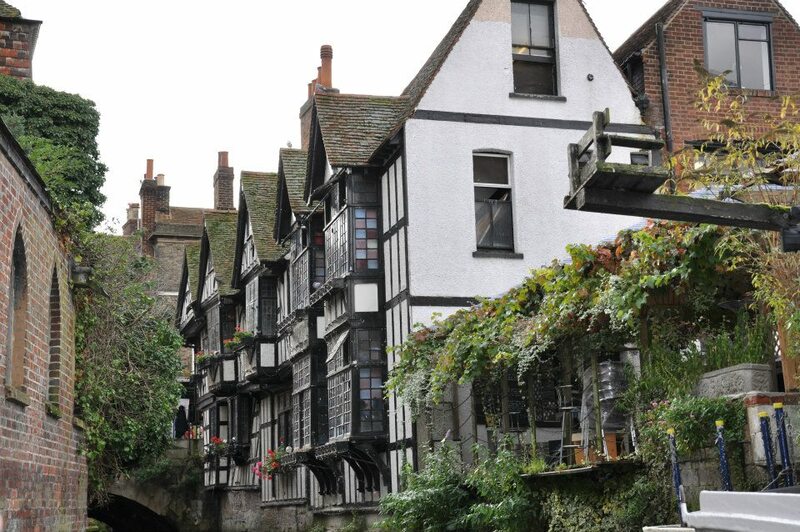 Round off your visit to Canterbury with a boat tour. Several boat companies tout for business on the High Street. You will be taken on the river Stour in a flat bottomed boat and shown even more of the local sights like the Franciscan Island, the Old Weavers House and the Marlowe Theatre which carries the name of the famous poet, playwright and Shakespeare’s predecessor – Christopher Marlowe. Seeing the city from its river is a wonderful experience giving you a different point of view over its sights and history. 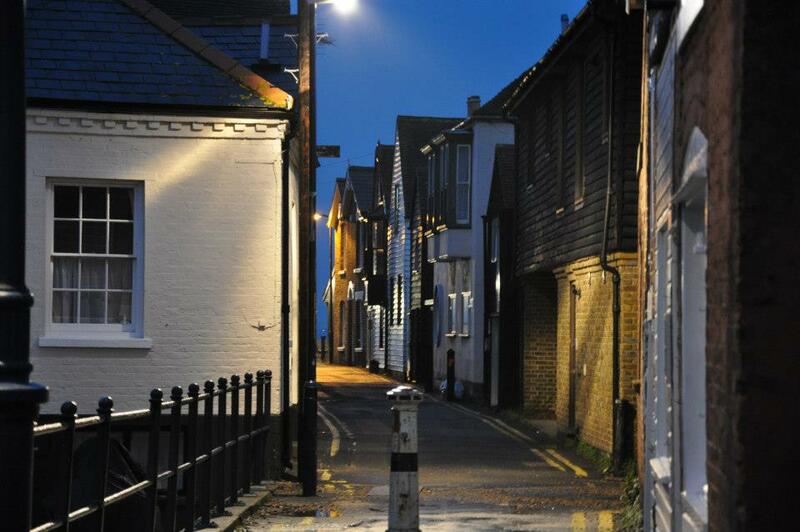 By this point, it should be getting late in the afternoon, so it is time to head to the last stop of the best alternative day trip from London – the seaside town of Whitstable. Find your way back to Canterbury East train station. 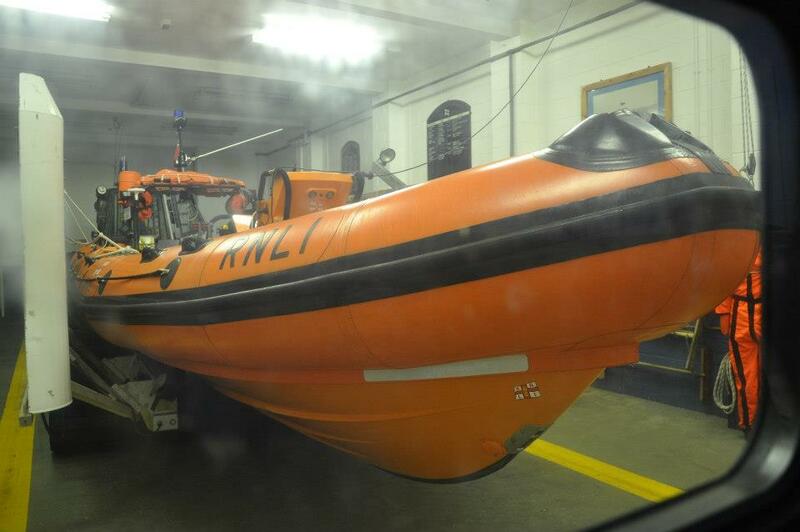 It will take you about three quarters of an hour and one train change at Faversham to reach Whitstable. There is also a local bus network which takes marginally less time, but I don’t have personal experience with it. 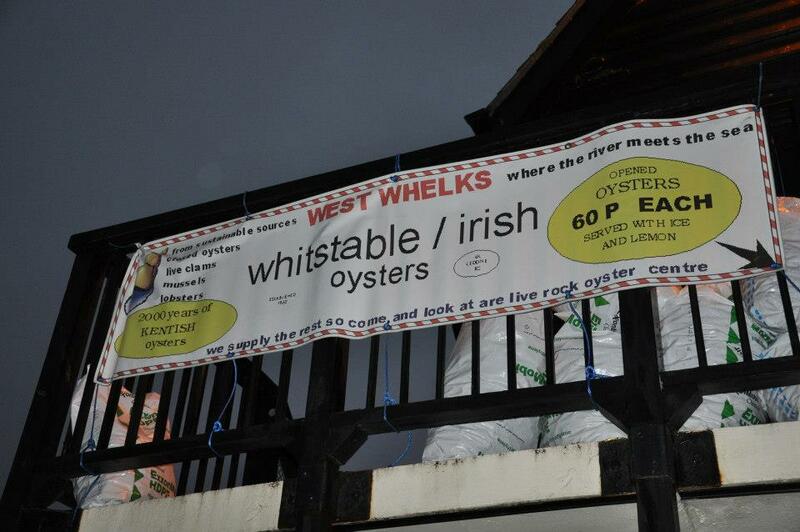 Whitstable is lovely! Located on the coast of the English Channel, it enjoys fabulous sea views, has vast pebbly beaches which grow immense when the tide recedes, and it is famous for its oysters. It takes about fifteen minutes to walk from the train station to the seafront. Once there, enjoy the breeze and explore the marina, admiring the white yachts and the fishermen’s boats moored at the quay. There is also a fish market (unfortunately, it will be most probably closed by the time you reach the third stop on the itinerary), several seafood shacks and just that inimitable atmosphere of a small sea town where the air is moist with sea salt. Continue following the curve of the harbour, pass by the picturesque fishermen’s huts until you reach a lively sea front area with several restaurants and pubs all serving oysters and seafood. You can have your dinner here or, I suggest you do, continue walking a bit more until you have reached the bottom of the High Street where you will see a pink building with blue trimmed windows and door and with a large sign saying ‘Wheelers Oyster Bar‘. A hand holding a plate with raw oysters is painted on the building’s face. Wheelers is a culinary institution. It is small, it is unassuming and it has been serving the best seafood since 1856. You walk into a small bar area and when I say ‘small’, I actually mean ‘tiny’. There is a large counter with all sorts of delicious seafood artfully arranged behind its glass. A small wooden bar with four or five chairs protrudes from it. A door by the counter leads into the restaurant, which is a small room with only a handful of tables usually booked months in advance. So, please, do me a favour and as soon as you know that you will be visiting London, pick up the phone and book a table at Wheelers. The food is amazing. How does a ‘lasagna with whole Kentish lobster with leek and white crab ragout’ sound?! If for some reason you are unable to book a table, you can still buy seafood to eat at the counter or take away. Don’t forget to sample the local oysters, too. Once you have had your fill of seafood, sea breeze and sea views, head back to the train station and in less than an hour and a half you will be back to the Big Smoke. Congratulations! You just had an unforgettable day taking the best alternative day trip from London. Now, I told you at the very beginning that the beauty of this day trip is that all three places on its itinerary have excellent train connections with London and you can pick and choose which ones to see and in what order. If you decide to spend most of the day in Rochester and then time is not enough to explore Canterbury and Whitstable, fear not. 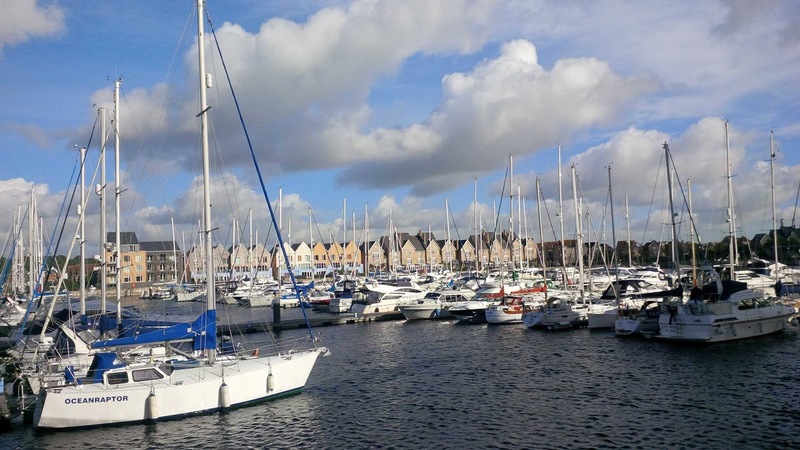 Take bus 190 or bus 191 and in about 20 minutes you will find yourself at Chatham Maritime – a marina full with yachts and offering beautiful views to Upnor Castle across the river Medway. You can enjoy a little walk around the marina and then pop into the outlet shopping centre there to be thoroughly spoilt at Boomer’s. This is an Australian cafe with the most amazing cakes and bakes all served with generous portions of whipped cream or ice-cream. 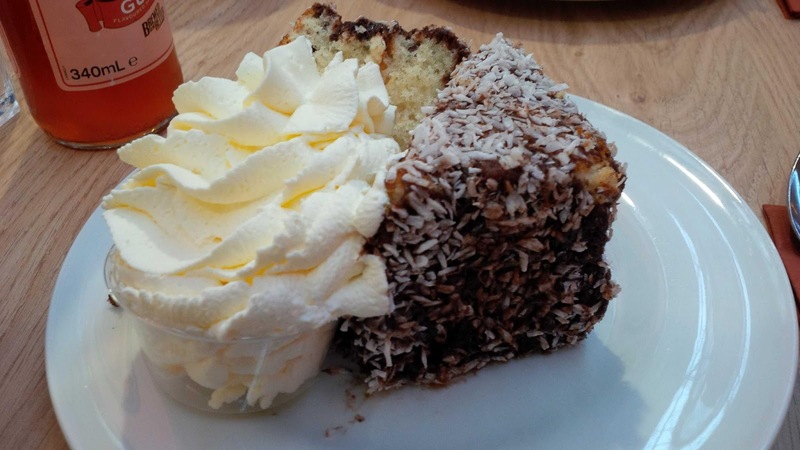 In fact, I could kill for one of their lamingtons right now. 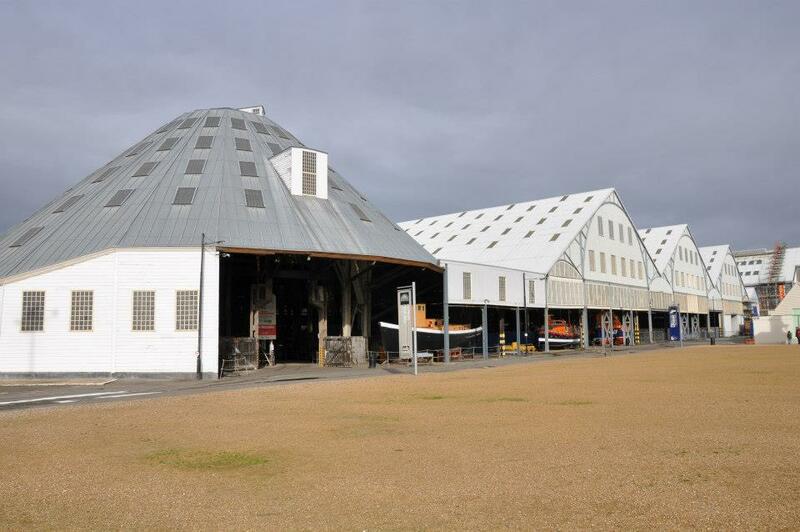 If you have more time on your hands, then walk the short distance from the marina to Chatham Historic Dockyard. 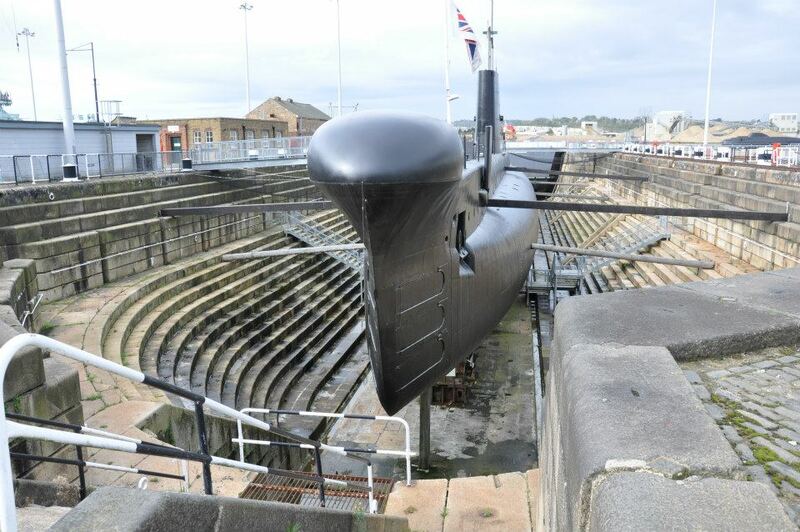 It is an amazing place charting the naval history of Britain. Over 500 ships were built there for the Royal Navy including HMS Victory, a model of which you can see during your visit to the Dockyard. 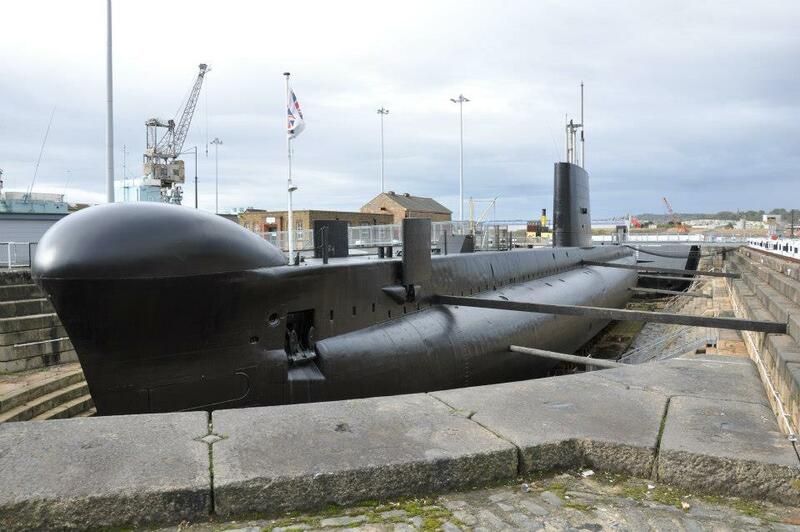 There is lots more to do and see there, though: historic warships, a submarine, a historic lifeboat collection, a railway workshop and a Victorian ropery housed in Europe’s longest brick building. My highlights are definitely the visit to the submarine and the guided tour of the ropery during which you can learn lots about ropes and realise why they were so important to the success of the British navy, how the ropery fostered a social change by starting to employ women (for less money) whilst laying men off, and how such iconic idioms as ‘learn the ropes’ came to be.